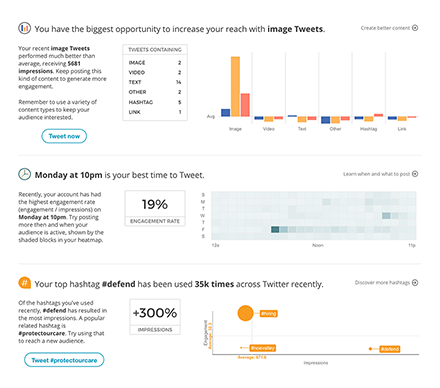 Get free Twitter analytics from Union Metrics! We borrowed a few clever algorithms from our paid Twitter analytics to provide a free Twitter Assistant that will put you on your way to Twitter success. Which hashtags will increase your impressions? It’s fast and free. Give it a go.